Truth About Masonic Jewish Gay Dictator Mustafa Kemal Ataturk Exposed: Was Mustafa Kemal Atajew Not A Dictator? Sure He Was! Was Mustafa Kemal Atajew Not A Dictator? Sure He Was! In his defense, which he gave to an Istanbul court, Mr. Altan made a clever point. He asked the prosecutor to check how “dictator” is defined in any dictionary, and then explain why Ataturk cannot be called that way. "Someone who rules a country with complete power, has complete control over the armed forces, and destroys any political opposition." "A person who rules a country with total authority and often in a cruel or brutal way." "1- a ruler who has complete power over a country, especially one whose power has been gained by force. 2- someone who tells other people what they should do, in a way that seems unreasonable." "A ruler with total power over a country, typically one who has obtained power by force." Now, honestly, wasn't Mustafa Kemal a tyrannical ruler with total power over Turkey throughout his political career? Sure he was. From 1922 to 1938, the golden era of Turkey's single-party era, Mustafa Kemal had absolute and unchecked political power. He not only banned all opposition parties and figures, but also closed down all civil society institutions, from Sufi orders, to mosques, to Quran schools, to religious Madrasas. And, did Mustafa Kemal not obtain power by force? Did he not practice his authoritarian rule in a cruel or brutal way? Sure he did. He never competed with his opponents in free and fair elections. He rather relied on arbitrary courts (under the disguise of 'independence trials') which executed thousands of his dissidents and opponents of his reforms. One of his prominent political rivals, Ali Sükrü Bey, a parliamentarian, was murdered by none other than Mustafa Kemal's devotees. Meanwhile, Mustafa Kemal's most notable political rival, war hero Kazim Karabekir, spent more than a decade under house arrest. Thousands of Muslims, whether Turks or Kurds, were executed for not wearing western hats and clothing. Again, thousands of Muslim clerics or preachers, called imams, were executed for being against Mustafa Kemal's western oriented secularist regime. A prominent Turkish Muslim scholar, Iskilipli Atif Efendi, was unjustly executed for criticising a new law which wasn't even in effect by the time he had published his objections in a book. And, did Mustafa Kemal not 'force' people on how to live, wear and write? Of course he did. Take a look at some of his reforms and the way he accomplished them: Mustafa Kemal changed Turkey's writing script from Arabic alphabet to Latin alphabet; he made laws which prohibit men and women from wearing islamic attire; he tried hard to change the Adhan (islamic call to prayer) to Turkish; he banned people from taking Muslim names; he replaced the Arabic words in the language with French and English words; he changed the Islamic measurement units with the ones in Europe; he founded the religious affairs office so that he can control the religion and reign in the mosques, too. Mustafa Kemal replaced the Islamic Sharia law, which was the code in Asia Minor for centuries, with the civil code from Europe, and so on... The list is very long. When did Mustafa Kemal consult the public to do these reforms? Never! Which of these reforms were the will of the people? None - these reforms were done against the will of the people, and those who spoke up against these reforms were brutally suppressed. So, whichever dictionary you refer to, if you compare their definitions with the way Mustafa Kemal run the country for over 15 years, it is obvious that he was nothing but a dictator. In fact, one would not even need this historical knowledge to decide to agree or disagree with Mr Altan. If, in any country, you risk going to jail for calling a ruler a “dictator,” wouldn’t that be evidence enough that the ruler in question is indeed a dictator? Mustafa Kemal was nothing other than an authoritarian despot like those who emerged in the inter-war period (1918-1939), such as Lenin in Russia, Benito Mussolini in Italy, or Jozef Pilsudski in Poland. Mustafa Kemal snatched the power after the fall of Ottoman rule with the help of the British and wealthy European Zionists by deceiving Turkish people, and replaced the Ottoman Empire with an absolute dictatorship which he called "Turkish Republic". Even today, Mustafa Kemal's followers claim that Mustafa Kemal embodied the will of the nation, however they overlook the fact that he imposed his anti islamic radical reforms without the approval of the nation at all nor the nation ever wanted him to be the new ruler of the country. Mustafa Kemal passed away as early as 1938, and his less ambitious successor, Ismet Inönü, accepted transition to multi-party democracy in the late 1940s. 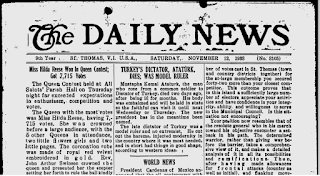 Yet this transition remained incomplete, for the cult of 'Ataturk' has survived, and has haunted Turkey via repeated military coups by the kemalist junta and permanent thought crimes, such as the one that harassed Ahmet Altan, Atilla Yayla, Abdurrahman Dilipak and numerous other Turkish citizens. 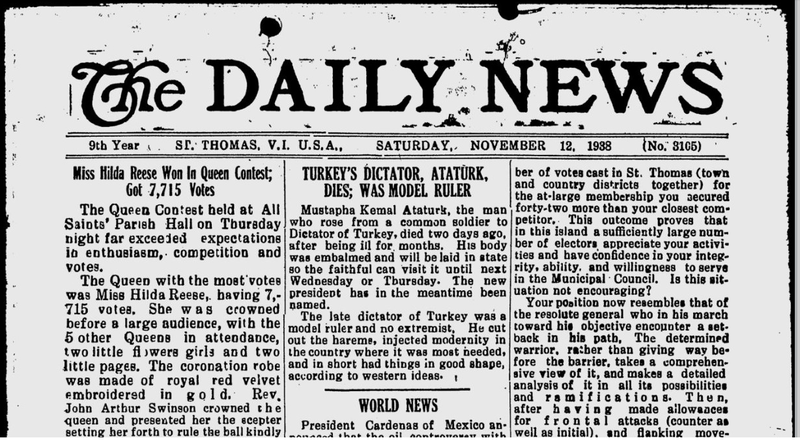 Turkey, of course, needs to get rid of this hangover from the 1930s and redefine Mustafa Kemal as he was rather than a hero or national deity, and strip him off of his last name 'Ataturk', for he is not ata-turk, meaning "father of Turks". Lifting the blasphemy law, the notorious Law 5816 in Turkey's secular constitution ("The Law Concerning Crimes Committed Against Atatürk"), would be a good start.